Google Chrome 62 Browser Update | Do I need https for service business? Does your website URL look like this? The Google Chrome 62 Browser update is Phase 2 of the 3 phase plan that will eventually tag all HTTP sites as Not Secure. To check if your website is using HTTP or HTTPS, copy the URL from the address bar and paste it into a Word document. Do you see http:// or https://? If you see http://, you need to make the switch. Fill-out the form at the bottom of this blog for assistance. The Google Chrome 62 Browser update is due to release in October 2017. This update could have a huge impact on service companies taking online service requests since the update targets websites with fillable forms. After the Chrome 62 update, all websites still using HTTP rather than HTTPS will display a “NOT SECURE” warning in Chrome when the user enters text on a page. Phase 2 of Google’s “Marking HTTP As Non-Secure” plan is due to roll out in October 2017. Fill-out the form at the bottom of this email for help with your SSL Certificate update. HTTPS is a more secure internet protocol than HTTP. HTTPS uses encryption technology to keep third-parties from being able to access data being inputted on the site. Changing to HTTPS will require you to install an SSL certificate on your hosting. You can contact your hosting to learn more about your options. If you’d like help, fill-out our contact form for assistance. Why is Google showing HTTP websites as “Not Secure”? Google is “committed to making the web a safer place.” Having a secure website ensures your customer’s information is safe from potential hacks. How Will This Change Impact My Business? If your customers submit service requests via your website, then the Chrome 62 update will affect you. The importance of complying with Google’s guidelines can’t be underestimated. As of this writing, Chrome owns nearly 60 percent of the browser market share. Not to mention, it’s not only Google encouraging websites to switch to HTTPS. In Mozilla Firefox’s January 2017 update, Mozilla added a gray lock icon with a red strike-through for HTTP sites that collect passwords in the address bar. They plan to add this warning to all HTTP sites in future updates. SevicersWeb advises all service companies to make the switch to HTTPS, ideally before the Chrome 62 update (estimated release is October 17th, 2017). Fill-out our form for assistance with updating your SSL Certificate. Nathan Kraker has been an entrepreneur in the web and media industries for over a decade. He has worked in multiple industries including music, multimedia, and small business. Nate has built large marketing campaigns for national and local companies such as Keno Tractors and Lake Appliance Repair. In his spare time, Nathan is a craft beer enthusiast with a thirst for IPAs. What Is Review Gating & How Can It Hurt Your Business? 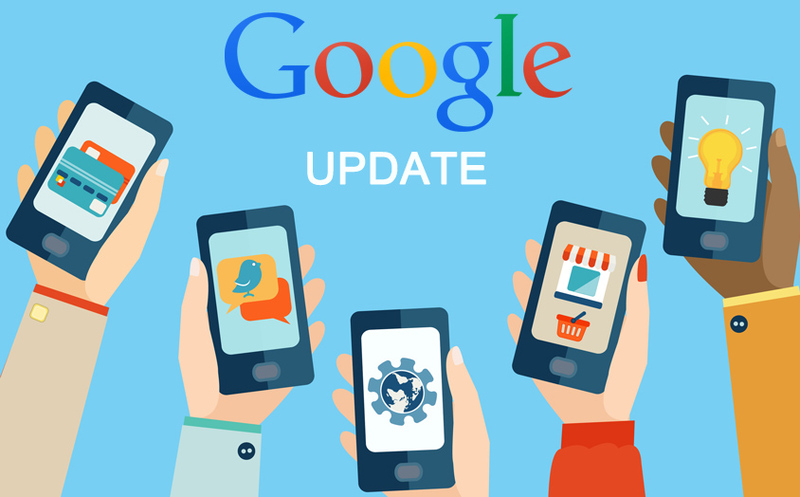 Will the April 2015 Google Mobile-Friendly Update Affect Your Organic Traffic?